Ghomi is a traditional dish from the Samegrelo region of Georgia. It is cooked from cornmeal and corn flour and often serves as bread for western Georgians. Usually it is consumed with cheese, but it also perfectly goes well with Bazhe - spicy walnut gravy, Satsivi – chicken/turkey in walnut sauce, fried fish, Kharcho – meat in heavy walnut soup or Lobio- red Georgian beans. Cornmeal and corn flour is added while water is boiling. 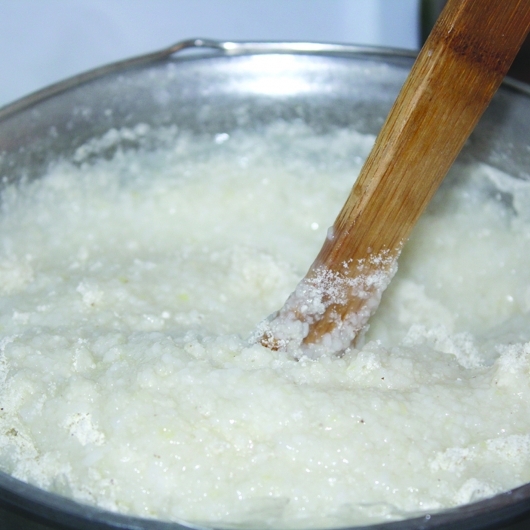 If you do not have corn flour you may use semolina instead. Use 150 g of semolina instead of 300 g of corn flour. Rinse cornmeal well, better in the running water. Put rinsed cornmeal in saucepan and cover with water. 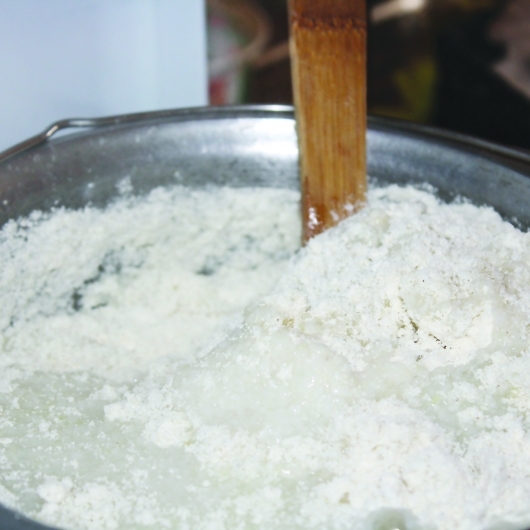 Remove cornmeal floating on the surface. Put the saucepan on fire and boil at medium high temperature. Ghomi must boil for a long time. When it becomes a mass of thick consistency, add corn flour and mix. Reduce heat and continue boiling. 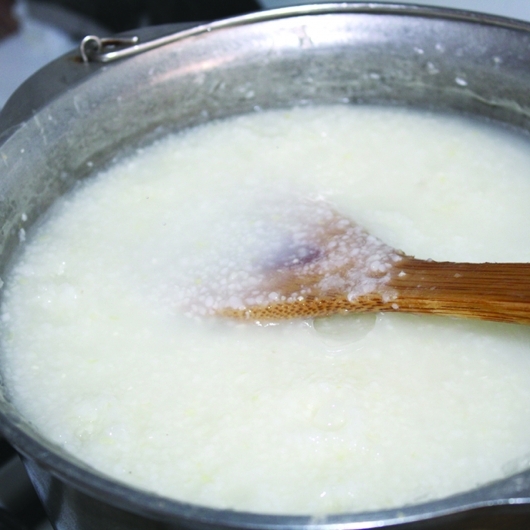 It takes about 45 minutes to boil ghomi well.